Cast: Jennifer Lawrence, Josh Hutcherson, Liam Hemsworth, Woody Harrelson, Elizabeth Banks, Julianne Moore, Jeffrey Wright, Natalie Dormer, Sam Claflin, Philip Seymour Hoffman, Donald Sutherland, Willow Shields. Review: One inevitable fact of life is that when movies adapted from a series of books are adapted for the big screen, the last book is going to be split up into two movies. Harry Potter and Twilight did it, and Divergent will also follow suit. While it may be hard to look at this decision as anything more than a money related one, if the movies themselves deliver enough content to leave the viewer satisfied, then all is right with the world. With this first part, it feels like an elongated starter before we reach the excitement of the main course. With Katniss being rescued from the 75th Hunger Games and arriving in the unknown District 13, the initial focus is on her dealing with the events of the last movie. Her home has been destroyed, her best friend captured, and having to decide whether or not to become the Mockingjay, the leader who will take down the evil Capitol and the cold President Snow (no pun intended.) The film focuses on her psychological struggles, dealing with everything she’s been through and at the same time see the two sides using propaganda to try and rally people to their cause with her being the key piece in the puzzle for the rebellion. The propaganda does provide some compelling viewing with a particularly emotive and powerful scene at a lake, but there is a desire to get to the action scenes that you know are brewing. The film is not devoid of action, and there are some great scenes to get the heart pumping, but they are over before they have had a chance to really get going. The main focus of the film is on the propaganda and the political speeches and in that we get a new angle on the story that we have not seen before. The Games themselves are now old news, the brewing war between the Capitol and the Districts is the bigger picture of the story, and those who have read the books know what is coming. This part could have very easily fallen flat due to the surplus in action but it is held up by the scheming and the propaganda which is riveting to see. On top of this, it provides a beautiful piece of cinema with a song performed by Katniss herself, which is a nice companion piece to the film’s excellent soundtrack. Jennifer Lawrence, is once again the driving force of the film. The Oscar winner shows the horrible Katniss struggles and her determination to save her family in the face of sheer horror and desolation make for some gripping moments. The audience has grown with her over these last two movies and she’s the one you really care about. With the majority of the rest of the characters, there is not the same level of connection and in that some of the characters do feel expendable. The one new character that stands out is Julianne Moore as President Alma Coin. As the charismatic leader of District 13, it is her task to rally the rebels and prepare for war, and she does this with great aplomb. Of course the late, great Philip Seymour Hoffman remains on form as former Gamemaker Plutarch Heavensbee, as he did throughout his illustrious career. The acting on the whole remains solid from everyone else, but with all the build up and the political subtext we have, there is just not enough action to leave the viewer satisfied. 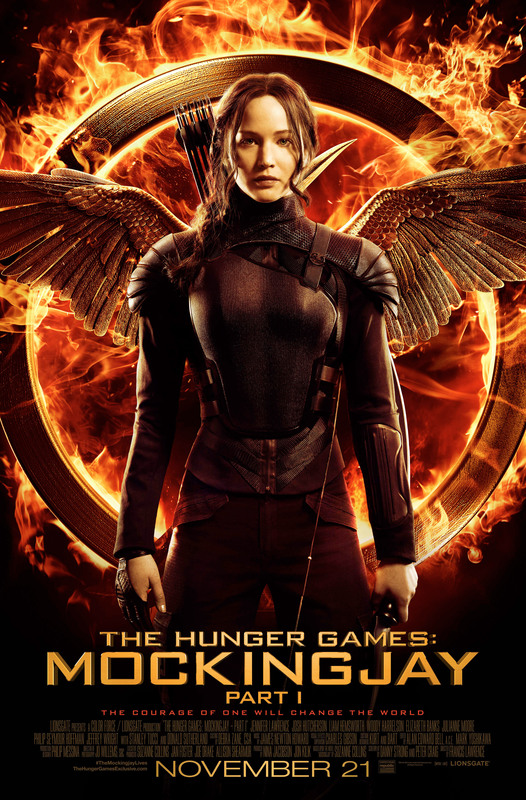 A step down from the highs of Catching Fire but there is enough in this instalment of this popular franchise to keep your attention. With Lawrence remaining as solid as ever in her role as Katniss, the odds are definitely in our favour for an action packed conclusion to this franchise.